Green Goo’s new online interactive global giving initiative. GooRu is a community based interactive web app that enables you to pledge monthly to help send Green Goo first aid and body care products to people in need all over the world. GooRu is a community based interactive web app that enables you to pledge monthly to help send Green Goo first aid and body care products to people in need all over the world. Text ‘GOO ‘ to 28748 to download the GooRu app on your phone or tablet. Once subscribed to GooRu, you will receive $100 worth of products for $29.97 as our “Thank You” for joining our cause for your first month. Thereafter, your monthly pledge of $14.77 will bring Green Goo products to places like Hargeisa Orphan Center in Somalia among many other worthy causes globally. 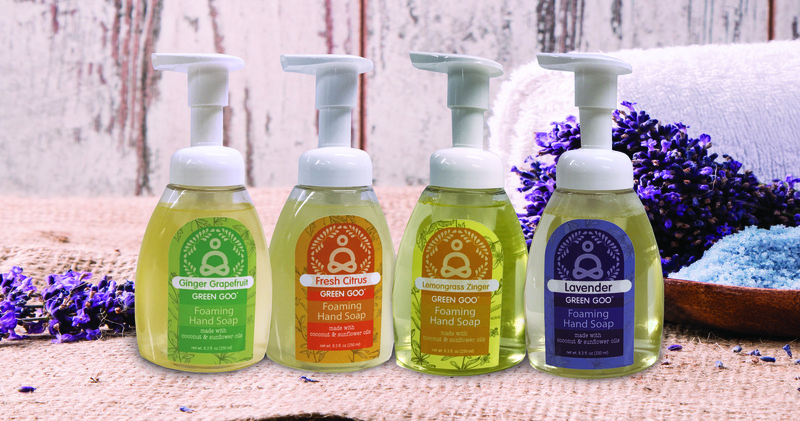 Green Goo only uses organic ingredients in their products. Their new petroleum and paraben-free soaps do much more than wash away bacteria and dirt, they leave your skin feeling hydrated and rejuvenated. They smell amazing and are safe for you and the environment!! For more information on Green Goo’s products, including their popular all-natural deodorants that are now available at Target, please visit www.greengoohelps.com.